Subject matter experts are called upon to assist legal counsel with case assessments, opinion reports, discovery and of course participation in deposition and trial. The objective is to provide subject matter expertise to assist the trier of fact in gaining sufficient knowledge of the subject to render a sound finding. Rocky Mountain Safety Consulting, Inc. provides legal counsel with a conscientious and unusual combination of subject matter expertise (safety, OSHA, MSHA) and legal practice experience. We understand the demands litigation counsel faces in the form of case assessment, discovery and expert witness testimony and the role it plays in their case. 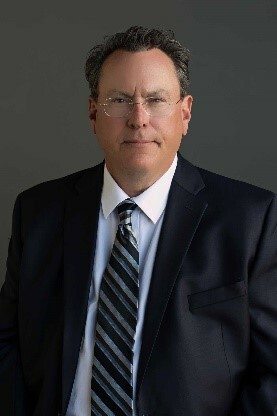 Greg’s safety expert witness cases include OSHA, MSHA laws/regulation cases, subrogation/work comp cases and serves cases nationwide/USA and international. Subject matter expert’s role is to explain and clarify case presented facts to specific areas of knowledge. Rocky Mountain Safety Consulting, Inc. provides safety expertise in construction, mining, oil & gas and manufacturing. Whether subrogation, work related injury or other personal injury event we can assist counsel with their case. How do we assist? Several ways. First, we can help evaluate a case based on safety elements. Learning whether there is a basis in claim or defense based on safety is helpful so decisions on case posture may be made early in the case. Second, we can assist in discovery. Cases revolve around evidence that is primarily developed during discovery. Knowing what questions to ask is important. Being knowledgeable of a specific profession or industry certainly guides/directs what questions to pose and what documents to seek. Our 18 + years’ experience in the professional world of safety is helpful in this regard. Asking the right questions can yield the right answers. We will assist in providing legal counsel with questions for depositions, interrogatories and requests for production of documents. Third, opinion reports. Expert opinion reports when properly researched and drafted can assist in tying facts of a case to specific safety laws, regulations and industry practices to clarify a position. These reports may reflect how the safety element in a case could be presented at settlement discussions or at trial. Both sides get to see how the safety aspect of the case might be presented and evaluate their positions in the matter. Fourth, testimony. Testimony may be in a forum of deposition or trial. Clear and concise answers and safety expert witness testimony tied to the appropriate safety regulation, laws or practices help provide offer clarity and comprehension to the trier of fact. We work with plaintiff and defense counsel to ensure they receive the most professional and solid subject matter support. The founder of our company is Greg Gerganoff, a licensed attorney admitted to the Colorado Supreme Court in 1983. He practiced general civil law for approximately 13 years. His professional safety experience covers 18 + years in mining, construction, oil & gas and manufacturing and consulting. He is also a Certified Safety Professional, the highest recognized designation among safety professionals (U.S.). Its holders must possess a certain level of safety field experience, education in order to sit for a rigorous exam. The CSP is a designation regulated and governed by the Board of Certified Safety Professional. Call 303-330-4616 for a complete CV.